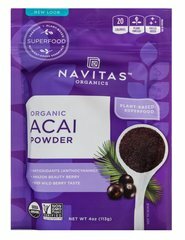 Acai Powder has a flavor that's somewhere between chocolate and wild berries, and its abundant (and super-healthy) omega fatty acid content gives it a unique and creamy texture that makes it easy to use. What’s more, Acai is a low-glycemic berry that provides an abundance of antioxidants, omega fats, and fiber to keep you feeling full throughout your day. Acai’s rich and creamy texture blends perfectly into smoothies and shakes, yogurts and dessert recipes. Acai Berries, indigenous to the Brazilian rainforest, are one of the planet’s most remarkable and nutritious fruits. Acai Berries naturally contain Vitamin C and are an excellent source of polyphenols, including rutin, anthocyanins, and catechins. 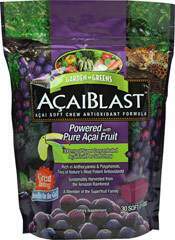 Acai is also naturally rich in ellagic acid. 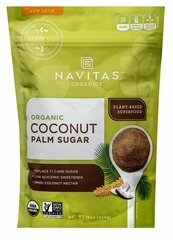 These and other antioxidant compounds protect tissues from free radicals. ** The nutrients and antioxidants in Acai also help support a healthy immune system. ** Each of these effects is also important for the support of healthy heart and blood vessels. ** NOW® uses only solvent-free, freeze-dried Acai Berries to ensure that the nutrients present in fresh Acai are retained. Levels of DHEA can decline with age as part of the natural aging process. DHEA is a hormone that is produced in our bodies by the adrenal glands and the levels of this hormone may begin to decline after the age of 30. Supplementing may help replenish what our bodies lose over time.